A bathroom is often neglected when it comes to decorations. Homeowners usually leave it undecorated or decorate it last. The challenges often lie with not knowing where to start or what to do when it comes to designing or decorating. Updating a bathroom does not have to be elaborate; it can be as simple as just adding decorated towels to make the bathroom cozier and more attractive to look at. 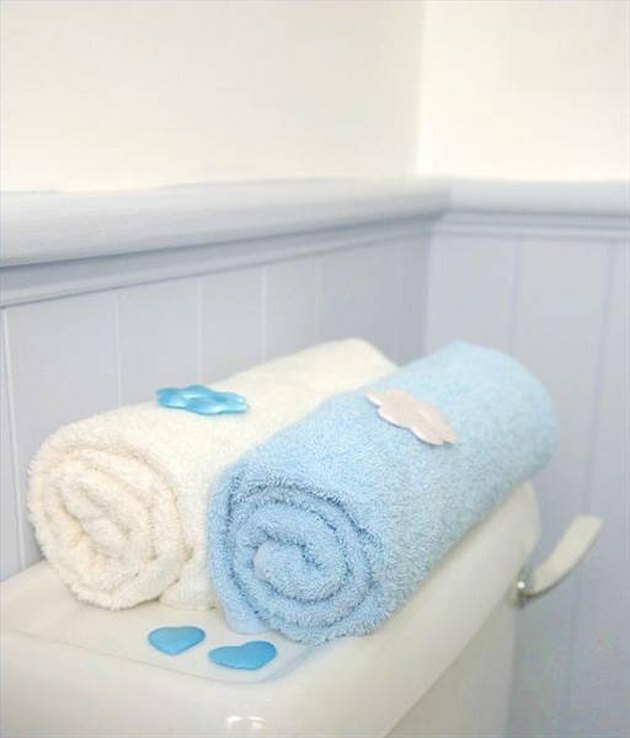 Display towels to make them more prominent in the bathroom. 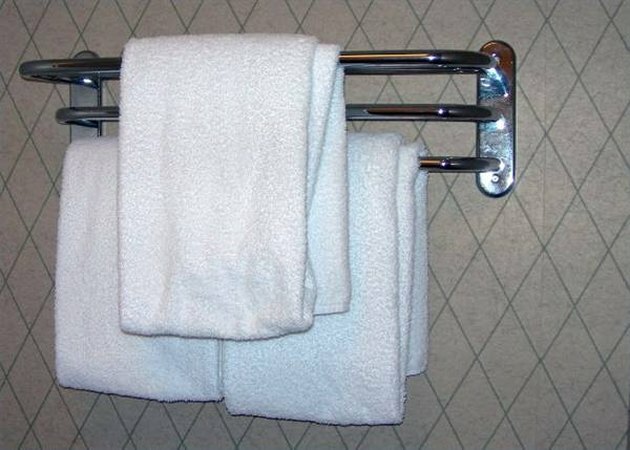 One way is to hang the towels in layers on a towel bar. Hang the bath towel first then layer the hand towel on top of it. Tie them together using decorative ribbons, tassels, raffia and silk flowers. Roll towels and stack them on top of an open display shelf or put them in a large basket on top of a vanity. Fold towels neatly and stack each type together. For example, put all bath towels together and hand towels together. Tie them up with ribbons as if tying a gift. Choose a ribbon color that matches or complements the color of the towels and the color of the bathroom wall. Fold the bath towel in three folds and then drape it on one corner of the bath tub for easy reach. 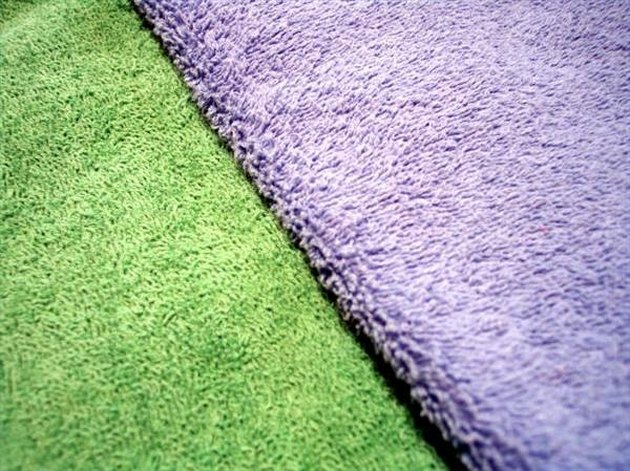 Mix and match different types and colors of towels to make them look more attractive. Make sure that the colors you choose complement the colors on your bathroom wall. The colors do not have to perfectly match, for example, if you want your towels to stand out, choose a bath towel that matches the main color used on your wall and then mix it with a different color of towel to contrast. A great example would be a brown towel to match a brown wall paired with a hunter green towel to contrast. Mix solid colored towels with striped ones to add character and pizazz. 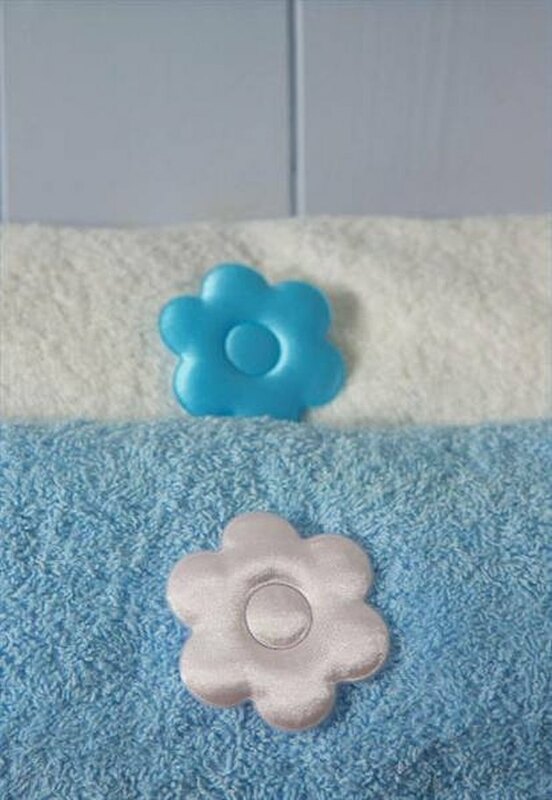 Add accessories to your bath towels by using beads, pins, brooches, buttons or laces. Decorate your bathroom towels by sewing ribbons along the borders or by adding laces at both ends. Personalize your towel by embroidering your initials on it or use store-bought embroidered initials that you can sew on one end of the towel. Use cut-out silk flowers and sew them on ribbons or raffia to tie around the towels. Glue on some seashells on a wide raffia ribbon to give your design a look derived from nature. Pin dried flowers on ribbons to tie around the towels. Sew fringes at both ends of the towel to give it more character. Choose colors that match or complement the colors of the towels and the bathroom walls. What is the Difference Between a Hand Towel & a Fingertip Towel?